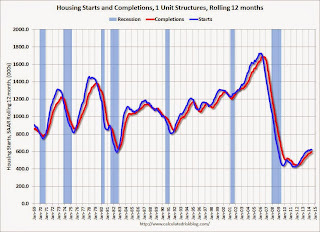 This was a weak report for housing starts in June. 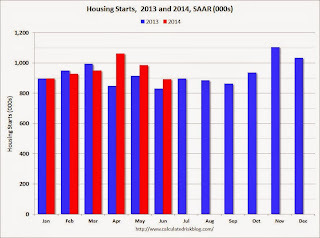 There were 479 thousand total housing starts during the first half of 2014 (not seasonally adjusted, NSA), up 6.0% from the 452 thousand during the same period of 2013. 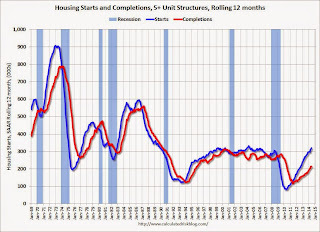 Single family starts are up 1%, and multi-family starts up 18%. The key weakness is in single family starts. The weak growth so far in 2014 is due to several factors: severe weather early in the year, higher mortgage rates (although rates are now down year-over-year), higher prices and probably supply constraints in some areas. 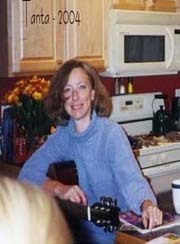 And some judicial foreclosure states are still working through a backlog of distressed homes that depress new construction. Starts were up 7.5% year-over-year in June, but the year-over-year comparison for housing starts is easier now than in Q1 (see first graph). 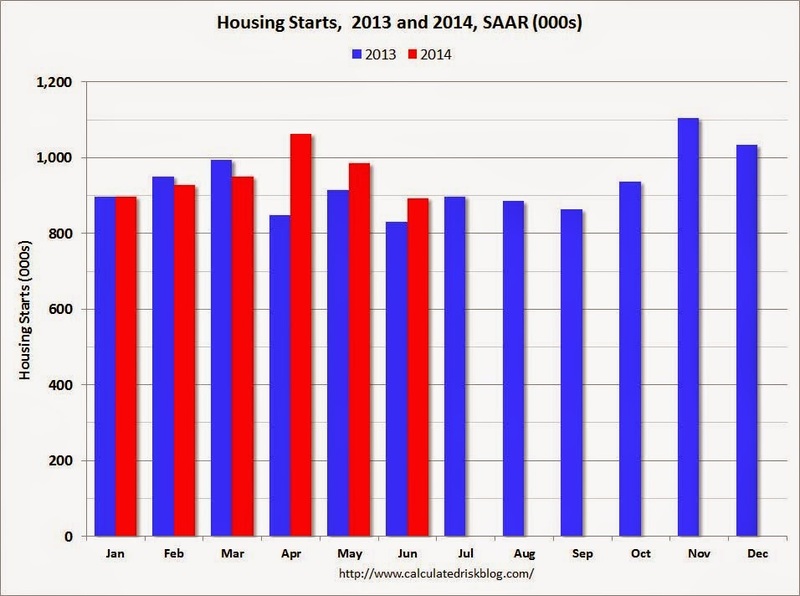 There was a huge surge in housing starts early in 2013, and then a lull - and finally more starts at the end of the year. This graph shows the month to month comparison between 2013 (blue) and 2014 (red). Starts in Q1 averaged 925 thousand SAAR, and starts in Q2 averaged 980 thousand SAAR (up 6% from Q1). This year, I expect starts to increase (Q1 will probably be the weakest quarter, and Q2 the second weakest). 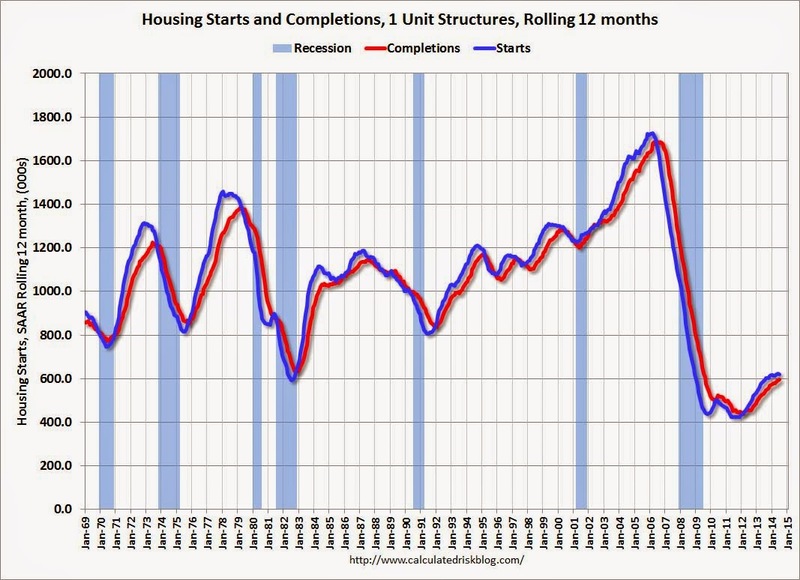 This means there will be an increase in multi-family completions in 2014 and 2015. Multi-family starts will probably move more sideways soon. 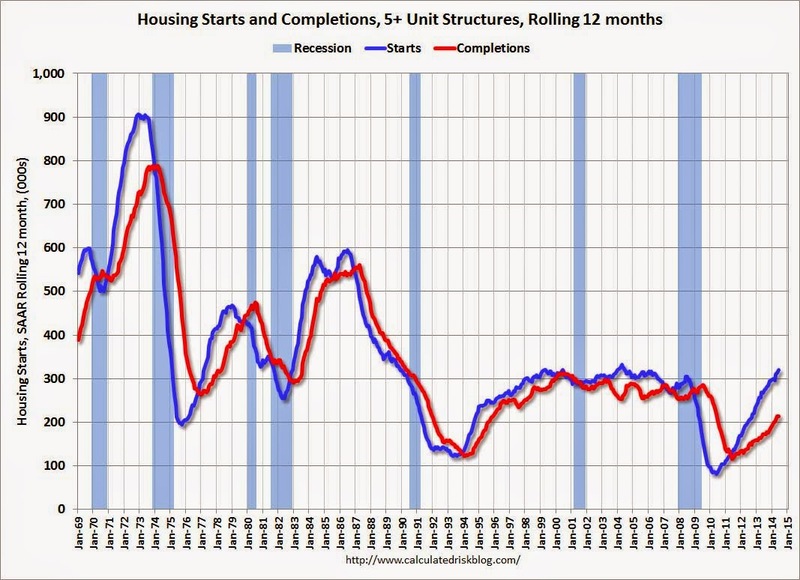 Single family starts had been moving up, but recently starts have been moving sideways on a rolling 12 months basis.